10 Lukie Points will be rewarded to you when you buy this. Join Lara in her quest for the Dagger of Xian, reputed to possess the power of the dragon. But beware, Lara is not the only one in search of danger! Warrior Monks and crazed cult members plot against you as you travel from the remote mountain peaks of Tibet, the canals of Venice and even to the bottom of the sea. New moves allow Lara to swim, backflip, somersault, climb, wade, and even swing from chandeliers. You'll have to do battle against angry raptors, snarling wolves, and a towering T-Rex along the way, so get your trigger finger ready. Grabbed this one using my Lukie Points, so getting a great game, in mint condition, for free, with free shipping and arriving in just 15 days to Chile... there are no enough stars to rate it. Thanks a lot Lukie Games!! What can be said, other than this is a great sequel to an already astonishing game, and LukieGames hits it out of the park with their service. Loves it.. I love old classics.. .
Game is like brand new and plays like it did when it was first released! 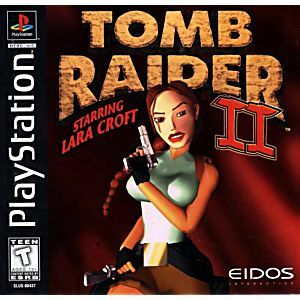 I love the original Tomb Raiders and this one by far is the best! Much like the first game, the atmosphere, exploration, and puzzle solving is all awesome fun. But the game is greatly handicapped by a new fighting system which doesn't implement fairness. Unlike the first game, most animal enemies are now replaced with humans. They can mow you down quite fast with bullets, and you'll find you never have health kits when you need them, and enemies will never drop them. Despite the unbalanced and infuriating combat, still a great game. I'm usually very sceptical about buying videogames online, I've had a lot of bad luck with other vendors, however, lukie games never fails to impress, every shipment comes at a reasonable time, hard to find prices, and the discs are always in perfect condition. I can gaurantee I will only be buying online from these guys from now on. Nice game. Excellent condition. Good! As soon as I got this game in the mail, I threw it in my PS3 and started playing. Works and looks perfect! 11/10! 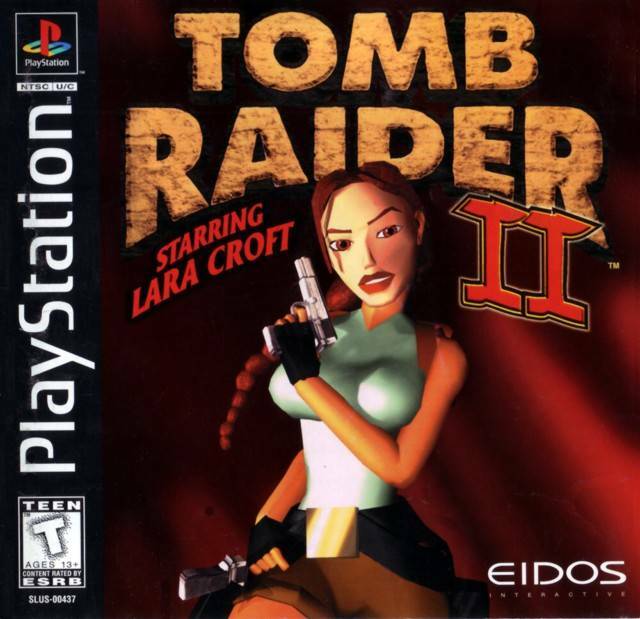 LOVE THE TOMB RAIDER 2, LUKIE GAMES THEY'RE NO JOKE, GREAT PRICES, THE GAME WORKS GREAT. THIS WAS MY FIRST PLAYSTATION GAME. LOVE IT THEN LOVE IT NOW. Ainda hoje esse jogo é muito bom e tem um ambiente e inimigos muito bem elaborados. O jogo chegou tudo certo em casa e parece até novo de tão bem conservado que estava o seu estado. muito bom! Bought the last one in stock yay me! Finally arrived on the mail, the front part of the case comes off cause one part if the bottom corn or is broken but that didn't bother he so much but the disk was extremely clean and it runs as if it was brand new, deffenitly happy with my purchase! I put a 4 star cause if the broken case thing but other than that everything is awesome! An overall great game! I am so glad that I bought this game here. It arrived in no time and I know now where to order games. Really loved this game. I played it non-stop and couldn't wait to explore through more of the game. It's fun to solve the puzzles, too. A great game for female gamers also.